Once, Twice, Three Times a Lemon. But once upon a time, I was ecstatic about powdered Country Time Lemonade mix – a blend of sugar, fructose, citric acid and various multisyllabic chemicals and stabilizers. If juicing real lemons is the old-school way, Country Time is the elementary school one. Per the ingredient list, it includes “natural flavors”; I tend to think the last time that product saw a lemon, it was the beater driving past the Kraft Foods factory window. As lemony as it is, it’s also the most open to adulteration: You can make minor tweaks to the spec and get lovely results. For example, if you’re batching it for a gathering, try muddling raspberries at the bottom of the pitcher, or add a fresh herb such as thyme, lavender or basil to infuse flavors into the mix. Slice some thin wheels of cucumber into the drink. Add a spoonful or two of some other liqueur – a dry curacao for a different citrus note, a red bitter like Campari or Aperol, or something that hits herbal or floral notes, like elderflower, yellow Chartreuse or genepy (keep in mind that any addition of sweetness may require additional lemon to balance it out). You can fiddle with the base spirit, too, swapping out the vodka for a citrusy gin such as Tanqueray 10 or Malfy, or a spicy option like Bombay Sapphire East. The other two variations here go in different directions. 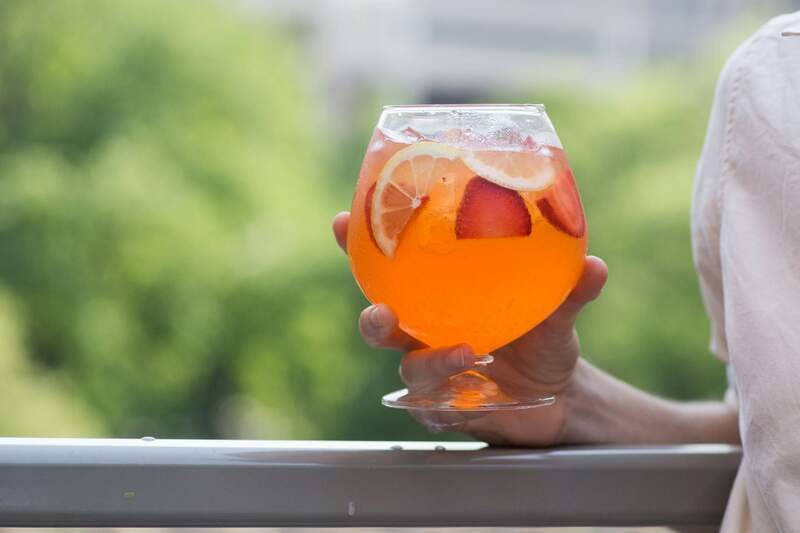 Summer in Padua incorporates dry sherry to bring in a different kind of acidity and an almost salty note, but sweetens the mix with bittersweet orangy Aperol and slices of strawberry (you’ll want to nosh on the berries after they’ve been sitting in this brew for a while). And the Monks’ Picnic takes advantage of the terrific pairing of herbal green Chartreuse and lime in a drink that’s easy to make and light enough for sipping over an extended cookout - but tastes elegant and strange, thanks to the Chartreuse. This is a purist’s spiked lemonade, lemony from top to bottom. (If you like a bit of fizz, you could even top it with a little lemon LaCroix or lemon soda at the end!) We used Newman’s Own Old Fashioned Roadside Virgin Lemonade, but make your own lemonade if you like. Regardless, it’s smart to keep some extra lemons on hand, for garnishing the drink and in case you decide you want to pump up the tartness a bit. (If you’re buying rather than making your lemonade, you may not know exactly how sweet it will be, so it’s good to have the ingredients to make adjustments. )This is also a recipe that can easily be batched into a pitcher drink, and you can also play with the recipe by making small tweaks at the end, adding other flavors such as fresh berries, a smidge of triple sec or elderflower liqueur, or a sprig of fresh herbs, such as thyme or basil.Ingredients:Ice1 ounce citrus vodka1 ounce limoncello5 ounces chilled lemonadeFresh lemon juice and sugar, as needed (optional)Lemon wheels, for garnishMethod:Fill a Collins glass with ice. 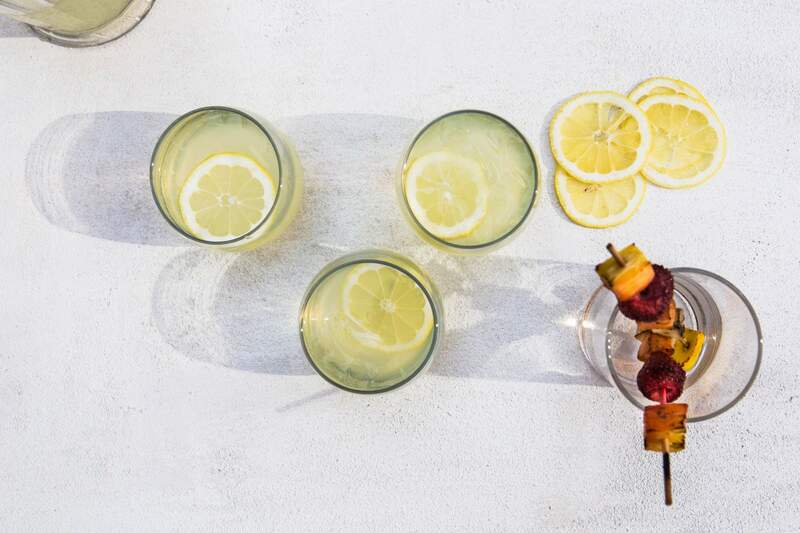 Add the vodka, limoncello and lemonade and use a barspoon to stir the ingredients together. Taste the drink, and add a bit of lemon juice or sugar as needed. Garnish with a lemon wheel or two, twisting them over the glass as you drop them into the drink. Source: Recipe from columnist M. Carrie Allan. 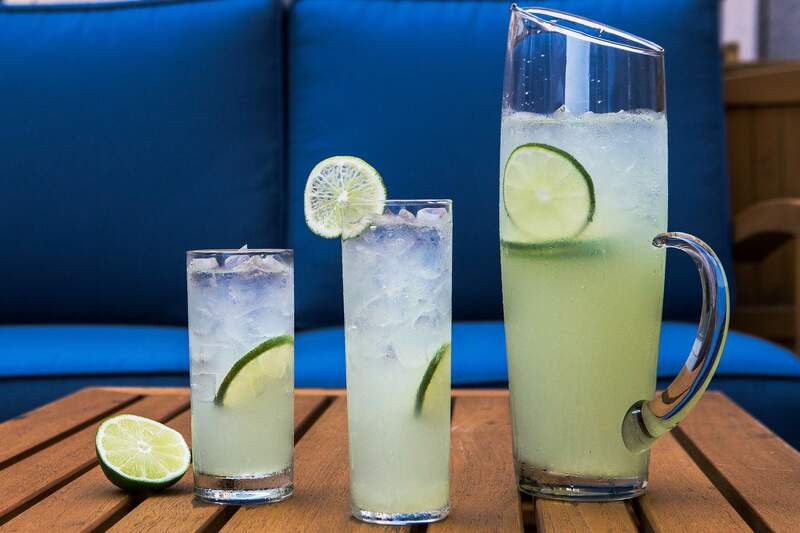 This refreshing summer cooler pulls from flavors of a classic cocktail called the Last Word. Any good London dry gin such as Tanqueray or Beefeater will do, but an over-proof, juniper-forward gin such as Junipero or Sipsmith’s V.J.O.P. really shines here.Look for a good, tart limeade that isn’t artificially flavored, or make your own if you like. In testing, we used Simply Limeade.Ingredients:Ice1 ounce gin (see headnote)1 ounce green Chartreuse5 ounces limeade (see headnote)Pinch of salt (optional)Lime wheel, for garnishMethod:Fill a Collins glass three-quarters full with ice. Named for the town in Italy where Aperol originated, this drink gets its brightness from both lemonade and fino sherry, which adds a rich back-note to the palate. Aperol brings in bittersweet orange notes.We used Newman’s Own Old Fashioned Roadside Virgin Lemonade, but you can use homemade lemonade instead. This can easily be scaled up to fill a pitcher as well – just multiply the ingredients for the number of servings you want, and add the citrus wheels to the pitcher; they’ll infuse a bit of flavor into the drink as it sits.Ingredients:IceTwo strawberries, cleaned, hulled and cut into slices from top to bottomLemon wheel, for garnish4 ounces lemonade (see headnote)2 ounces fino sherry1½ ounces AperolMethod:Add a few ice cubes, the slices of strawberry and a wheel of citrus to a large goblet or wineglass.